Using silverware in your school cafeteria is a proven method to eliminate trash and save money. Round Eye Supply partners with you in your eco-friendly campaign with its huge selection of school cafeteria utensils. 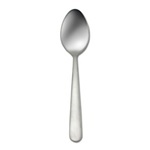 Choose from various kinds of silver cutlery such as medium weight bouillon spoons, dinner knives, dinner forks, salad forks and iced teaspoons – all in clear packs. Buy wholesale Cafeteria Silverware from the cafeteria school supply leader of America. Machine washable and durable, our silverware is priced lower than anywhere else in the country. We can also offer you great deals on your bulk order of cafeteria silverware for your school delivered right to your school.